No, that's not an actual game, though I'm sure there's one out there with that name somewhere. Bing is essentially Microsoft's Yahoo (hey, I didn't know anything about it outside of their annoying ad campaign) and, like Yahoo, they stock a large supply of games for you to play in your own handy dandy internet browser. Want to try out most of Popcap's games? 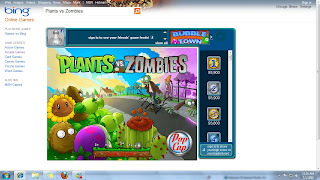 Lots of 'em are here, including my current addiction of Plants vs Zombies. More into word games? Got 'em. Puzzles? Point and click adventures? They're here. I'm afraid to go back there as I have to sleep sometime this week. Yes, this sounds like an advertisement, but you all know I'm not cool enough to get money from anyone. I just like pointing you where the games are. Head over to bing.com/games/ and waste a little time. At the very least, try out Plants vs Zombies if you haven't already, then head over to Steam once you're addicted and buy the thing if it's still on sale. Another week of too many distractions. This week's main supply of time-wasters has been brought to you by Steam. Check them out until July 4th as they're doing a HUGE sale. I ended up getting Plants vs Zombies, Super Laser Racer, and Puzzle Kingdoms for less than 10 bucks total. And if I didn't have Torchlight already, I would have snagged that for five bucks. Probably go back for a second round of bargain hunting before the sale is over, and I highly recommend you people do the same if you haven't already. Great stuff. As far as getting things accompished (novel idea), over on ForceDisconnect.com I published a fangirl-ish interview with Duct Tape Anonymous Entertainment about their amazing game, Urban Space Squirrels. If you don't remember me saying that I like it, you need only look a couple weeks back to see that I'm madly in love with it and want to have DTAe's babies. In other news on FDC, I did my weekly indie recap with a nod to Ancient Trader, Vampire Rage, This Is Hard, and an honorable mention to Point Blank-inspired Sharpshooter. And, finally, I chimed in on the weekly podcast with my thoughts on E3. 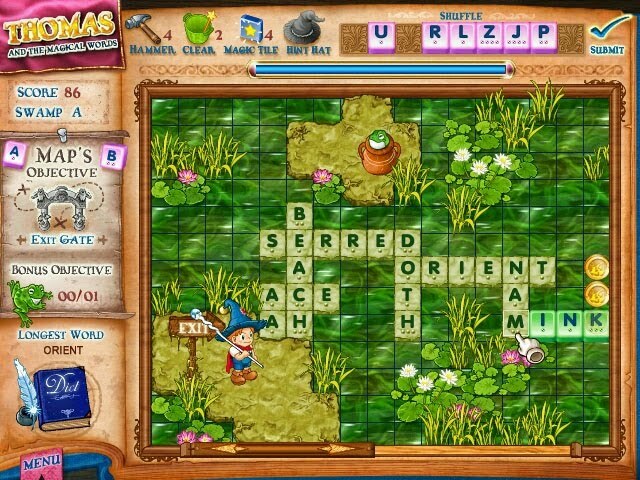 On a less busy note, XBLARatings.com is home to my newest review, Puzzle?. No, that's not a typo. There really is a question mark in there. Though with the score and review I gave it, I'm not surprised. Kinda bad. As hinted at last week, another game caught my eye roughly fifteen years after its release. A game, like Clu Clu Land, that was mere furniture in the GameCube Animal Crossing, but one that provided hours of entertainment for myself and my friends and was probably more fun than Animal Crossing itself. A game that took an arcade classic and turned it into a two player mix of cooperative and competitive play. 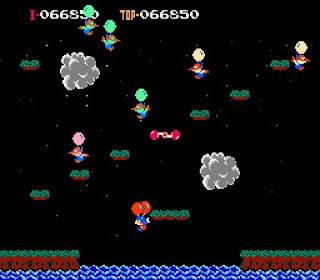 That game is Balloon Fight. I wanted to hold off on posting this review until I actually beat the game. Sadly, I'm a horrible gamer and couldn't rise to meet the task given to me. I also don't want to willingly throw my Wiimote at the nearest elderly couple in a fit of unchecked rage, so...here we go. XBox Live Indie titles have a tough time being "professional" games. I suppose that's why they're all indie and such, but beyond things like presentation and budget they still have some obstacles. Namely, the lack of achievements, dedicated leaderboards, and any other connectivity with the rest of XBox Live or the 360 outside of being able to use your avatar in-game (and man oh man has THAT been overused). 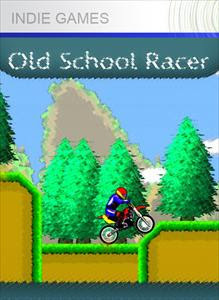 This week's game, Old School Racer, feels like it takes that hit the hardest, and that lack of support somewhat cheapens an otherwise great addition to the XBLIG library. I like not doing posts that are a bit TOO personal. Usually they just tend to bore people. Also, it's a public blog, so me putting things on here about myself or others close to me may very well come back to bite me square in the bum. But today I'm writing something a little personal. Today I'm telling you something that's a little nerdy (alright, really nerdy) but still important to me. Today, I quit fighters. 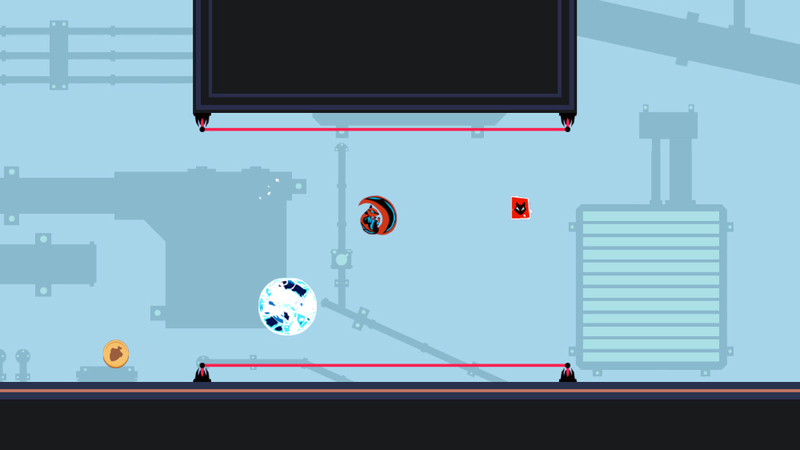 enjoy, an indie gem by the name of Star Guard. Thanks to some stupidly good coupon juggling and a $5 Reward Zone certificate at Best Buy, I ended up with a shiny new copy of Blur for the 360 for a whopping $6.74 post tax. That might be a crime in some states, and it's certainly going to make getting everything else done this week a difficult task. Maybe I should hide the case until after my reviews and blog posts are done for the week. In the days pre-Blur, I did manage to jot down a couple things. 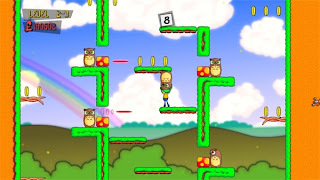 On ForceDisconnect.com, I had the honor of interviewing Tim of My Owl Software about the amazing XBLIG platformer that is Apple Jack, and then finished my week with my usual indie game recap that gave a nod to Old School Racer and a few others. Look for a review of Old School Racer soon as that'll be my Four Quarter Friday title. Last week was also another slow week for me with XBLARatings, with only a review of SFG Beach Volleyball to show the class today. Hopefully I'll review more than one this week...though I'd be happier with a good night's sleep tonight. I do heart myself some sleep. Now if only someone would please tell Blur that. 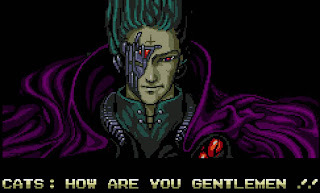 The weird (but still great) thing about being a gamer creeping up on 30 years of age is that, even if I missed some classic gem from the early to mid 80's, I can discover it now and still appreciate it. For example, last week's post about 1981 Namco shooter Bosconian said some kind words about a game I didn't play until nearly twenty years after its creation. This week, another game came to mind that I didn't even know about let alone play until 1999. Like Bosconian, this game wasn't the main draw of the disc it was on, but it became something I associated with the disc just as much if not more than whatever I bought the disc for in the first place. The disc was Animal Crossing, and the game was an old NES title by the name of Clu Clu Land. 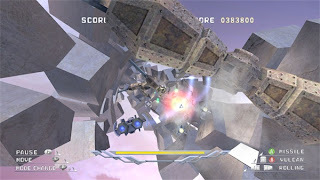 Wrapping up our week devoted to shmups, I decided to go with the shmup genre that probably gets the least amount of love out of all of them: the 3D rail shooter. And just like the good old says on the Master System, when I say 3D, I really do mean 3D. So I got out those funky red and cyan glasses, looked like a big nerd, and sat down to tackle appropriately titled 3D Infinity. A few weeks ago I stumbled across a new XBLIG release, Prismatic Solid, that definitely turned my head. It controlled well, looked pretty, had a couple cool mechanics, and was the first bullet hell shooter I'd seen on XBox Live. 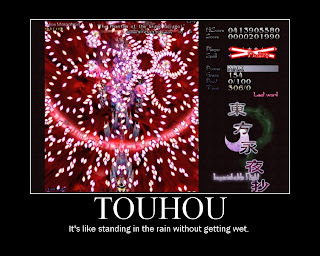 When I decided that this week was going to be devoted to shmups, I was looking forward to playing through it and reviewing it for Four Quarter Friday. After 45 minutes of play, I come back a confused man. 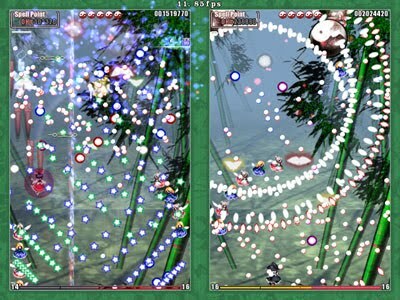 Thursday Thoughts - Can Shmups Evolve? My original idea was to do a list of the top 10 shmups from the XBLIG library, but then I thought of something while checking out E3 videos. I started thinking about other genres and how each of them over the years has added one thing or another, or even changed the game altogether. FPS titles went from single player affairs without the ability to even jump to huge budget campaigns and competitive bloodbaths for a few dozen players. Platformers made the leap to 3D and arguably lead to the more action-oriented titles like God of War and Bayonetta. 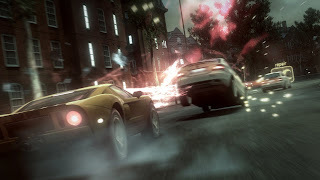 Even RPGs got larger and found themselves spawning a multiplayer branch of the genre. 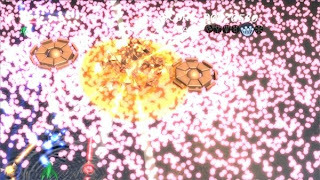 You can do this with nearly every other gaming genre out there, but one remains ever defiant and has for over a decade if not more: the shmup. Going back to the games that you can download for free, this week's Webnesday game is one that I feel a little guilty about posting. Not because of content or difficulty, but because it's one I haven't played in a while and it's from a long series of games I haven't tried outside of this one title. Regardless, I'm here tonight to mention a shmup unlike most other shmups out there. A shmup that's two player, competitive, plays a little like a puzzle or fighting game, is split-screen, and, of course, is free. 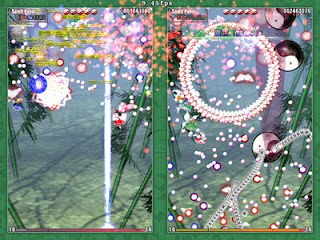 Touhou Project's 9th title: Phantasmagoria of Flower View. 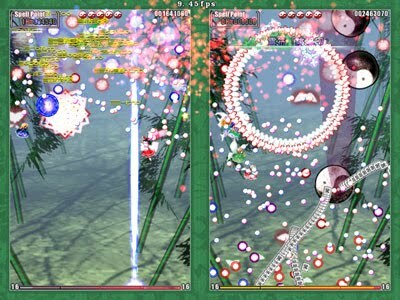 Phantasmagoria of Flower View (PoFV from here on out) is a shmup that differs from most others in that it drops the usual routine of flying forward, killing a bunch of stuff, fighting a boss, and going on to the next stage. Instead, you only get half the screen, with the other half going to your opponent, and you're killing things and dodging bullets while trying to send attacks at the other player. 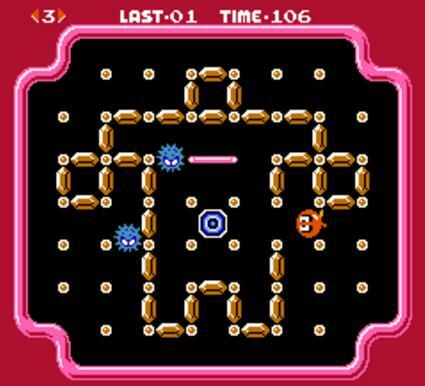 It's a puzzle game that plays like a shmup, much like Neo Geo shooter Twinkle Star Sprites. Even though I haven't touched this game in nearly half a decade outside of firing it up recently for a little refresher course, the game still looks decent if a little dated. I also realized I could have cared less once the game starts as I'm too busy trying to dodge and intercept a bazillion bullets. That's what the Touhou series is famous for: its bullet hell gameplay that focuses on dodging ammo and recognizing patterns. On the downside, I do remember this game being a lot more fun when playing against someone else, and my experience this time was limited to playing the computer. If you get a chance or download the netplay patch, try this game out against someone else. It's an interesting experience, if not at least a unique one, and a great combination of two of my personal favorite gaming genres. Anyone looking to download PoFV can hit up this link full of Japanese. Luckily, it's a bunch of mirrors for the download, so I'm pretty sure clicking any of them outside of the only one that's in English will find a download. 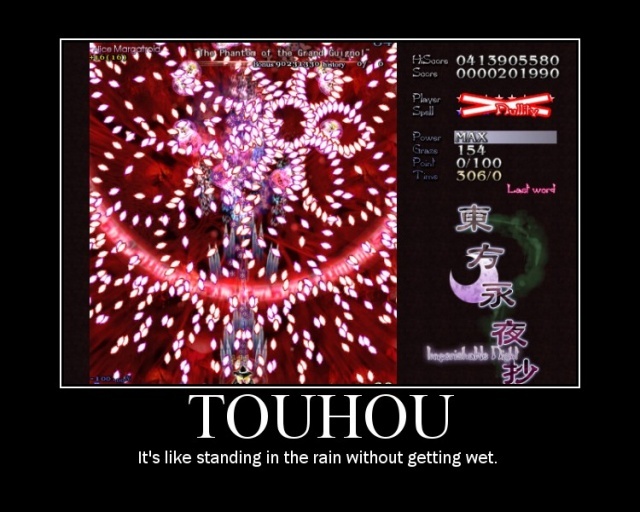 If you actually want to learn more about the game or about patching the game for internet play, you can visit the Touhou wiki for PoFV at this clickable link here. Yes, Zero Wing, also known as "that All Your Base Are Belong To Us game". Has anyone actually played the game itself? It's freaking hard. At least, it was eight years ago when I tried it. I had no chance to survive and I definitely didn't make my time. While everyone is busy hitting F5 this week on gaming blogs that sure as heck aren't mine, I thought I'd devote this week to a genre that both makes me happy and causes me to flip off nuns all at the same time: the shmup. Or, shoot 'em up, like 1942 or Raiden for those that don't know the term and just thought I couldn't type every other time I mentioned it. And to start the week off I wanted to give a little nod to quite possibly my favorite Namco game that isn't Galaga or Soul Calibur 4. One that gets mentioned in probably every Ridge Racer game (as a decal or car) but isn't one that got much attention or love over the years. That game is Bosconian. There are few genres that define "tough love" like the puzzle platformer. 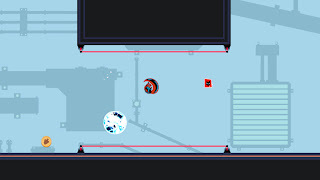 If anyone has played the excellent N+, Splosion Man, or even Trials HD (a puzzle platformer disguised as a dirt-bike game), they should know exactly what I'm talking about. I can't think of another genre out there that will test the very limit of your frustration and patience yet give you such satisfaction once you complete your task. 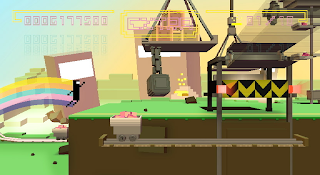 And I am happy to inform you that the recent XBLIG release Urban Space Squirrels can be put safely onto that distinguished list. I'm always down for new and innovative ideas or mash-ups of different genres, and I'm pretty thankful that the XBLIG service exists because that's probably where you'll find 90% of the innovation these days on consoles. 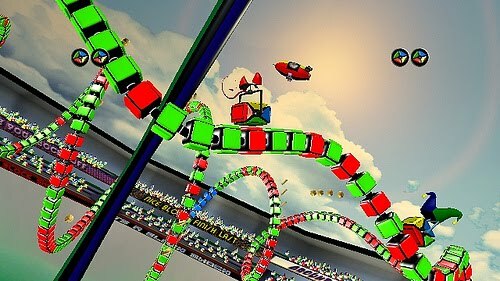 Still, I didn't expect to find a mash-up of puzzle, rhythm, and racing genres, as that's a lot to put together in one small game. Yet, here I am with Rock A Block, a puzzle/rhythm/racing game. On a roller coaster. And you're a cube. With sunglasses. Racing against one with a jester's cap. Yeah, let's just get to the review. Some gamers love negativity. Well, when it's pointed toward others, anyway. 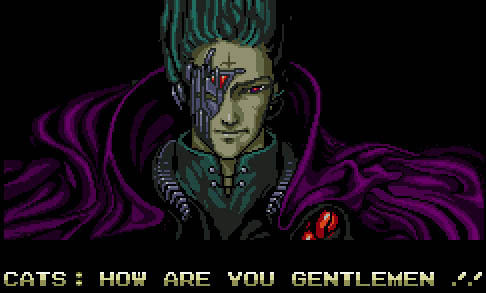 Many of the more popular gaming sites involve a pretty large amount of hatred and aggressive criticism. Lots of people wouldn't find Zero Punctuation funny or interesting if it wasn't for the fact that Yahtzee Croshaw rips nearly everything apart that he plays (to be fair, many others just like that he's an honest gamer, which he is). 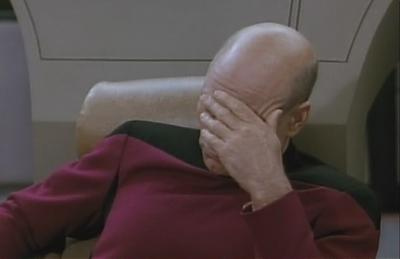 Lots of developers, on the other hand, like to hear that people are happy with their games. So much, in fact, that they'll ask for positive reviews and some even have rules for certain reviewers on what they can and can't say about games. It's not surprising, really, when you think about it. Hit up a professional review site, you'll probably see a gaming advertisement. Thumb through a magazine and see if you can make it through five pages without hitting a two page advert for whatever high budget AAA title is coming out this month. Money talks. In today's web game we're going to take a step away from the need for quick reflexes and hand-eye coordination. Away from high speeds or blowing crap up. Today, we're going to do something the vast majority of the internet can't do anymore: we're gonna SPELL. I've reviewed things you people wouldn't believe. A WW1 flying game with Snoopy and the Red Baron. I've tried this week's indie games and had an interview with a developer. All these moments will be lost in time like tears in the rain. Time to sleep. Most of the time, when someone mentions a retro game they still enjoy, it's going to be one of three things: an arcade classic, an old-school RPG, or something with multiplayer that ended up ageing gracefully. 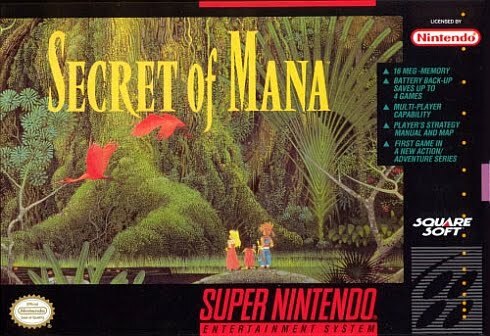 One such SNES gem was, of all things, a mixture of the last two, and is always an option for long gaming nights with a couple friends. That gem is, of course, Secret of Mana. I normally hate not finishing a game before I review it, especially considering the review is either a personal recommendation or condemnation of someone's time and hard work. There's also a little bit of that gamer pride I sacrifice by not being able to put "completed" at the bottom of this review. This time I find myself around three hours into a game that started out amazing and is only getting better and better with each stage, and I'm barely halfway through the total stages. So, with that said, I'm here to tell you that Apple Jack, a game I'm not even finished with, is the best platformer I've played on XBLIG. So this week's Thursday Thoughts may seem a little random at first. This week's installment was going to revolve around how critical reviews, willing that they're honest and fair, are what indie developers should want to see. You know, rather than dishonest 10's-across-the-board reviews by publications or sites that only wish to please others and keep any sort of advertising/product flow coming. But I think that can wait for another week while I go onto a more personal subject that, in the end, will still relate to gaming: Depeche Mode. If someone told me I only had one band to listen to for the remainder of my existence, I don't think I'd hesitate with my answer of "Depeche Mode". And looking back over the last 12 years of my life, there's no one reason for that. I didn't get into the band until the very late 90's, I have nothing that all of a sudden got me listening to them, and I didn't become a die-hard fan overnight. Yet over the last decade no band has made me feel more focused on whatever I'm doing. For some odd reason, the music seems to drown out everything except for two things: itself, and whatever my senses and thoughts are pointed toward. Even emotions, even my hatred becomes a pointed spear rather than a desperate net. I'm pretty sure this is starting to beg the question, "What does this have to do with gaming or even this blog?" Earlier today I was thinking, as I often do, about the kinds of games I'd make if I had an ounce of talent to do so. Ideas don't craft themselves into the 1's and 0's necessary to entertain others, and even though the tools are in front of me I'm pretty sure I'd be the farthest thing from a capable carpenter with them. Back to earlier, though. I thought, if I did have the motivation and ability to create the games I'd enjoy making, what music would I want in them? My mind went through the different styles of music that I normally hear in what I play. Would I want some trance? Some metal? Maybe melt a ton of different styles together like Yasunori Mitsuda does with the Chrono and Xeno games? And then it hit me: I'd want something that sounds like it came right off of Ultra. I'd want music that not only pleased my senses but also gave me a calm, focused look at the puzzle at hand. 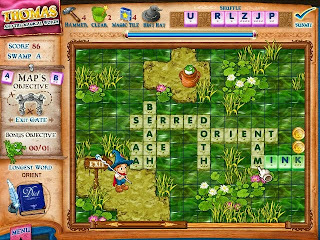 And, really, games are all about puzzles. Even the most frantic fighter or racing game is a series of puzzles that need to be solved right then and there. Of course, I'm pretty sure hearing "Sister of Night" isn't all that great in every gaming scenario. Pounding out a combo during a crucial moment in Super SF4 isn't something I see myself doing to "It's No Good", and I doubt the BOOM HEADSHOT FPS crowd isn't going to go for otherwise appropriately named "Barrel of a Gun" as the soundtrack of their latest Call of Duty skirmish. So where would it fit in? Why, in a lot of the indie games I see on the XBLIG Marketplace, of course. One such recent game, platformer Apple Jack, has a soundtrack that reminds me of this idea. The soundtrack itself is a simple acoustic guitar that sounds like it's being played near a campfire for the sheer sake of wooing a girl, but it's the presentation of it that matches the idea: it's there without invading the gameplay. You don't hum it while playing, you don't even really think about it other than acknowledging that it's there and that it's good. It almost pushes your mind toward the game, relaxing you and focusing your thoughts and efforts on what needs to be accomplished. Which is good in that game, as it's difficult and requires your attention, and I think the same thing would be accomplished with that sort of non-invasive new wave/electronica. I know many will disagree with this and probably can't play a game without whatever the cool kids listen to these days playing on their iPods. I don't blame them. 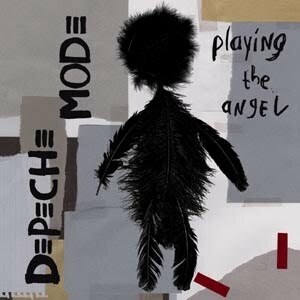 But from my experience and thoughts, I don't think there's any music out there that I'd rather see as a soundtrack for the majority of what I play than the synthpop sound of Depeche Mode. And if I ever do find the ability and desire to make games rather than just write about them, rest assured whatever music accompanies it will have its roots with my favorite electronic band. Like most people, I'm an alright fan of free games. I'm an even bigger fan, however, of free games that are good. Sure, there are a ton of decent games out there on the web that are free, but with any form of entertainment you'll be sifting through a much larger percentage of ones that don't exactly reek of quality. In a more current and specific trend, those are the ones that involve clicking your crops to watch your free time disintegrate and sending invites to MAKE ME BLOCK YOU ON FACEBOOK. One such game that doesn't fit into that diseased latter category is a somewhat older shoot-em-up by the name of TUMIKI Fighters, and it's a game that still makes me smile today. 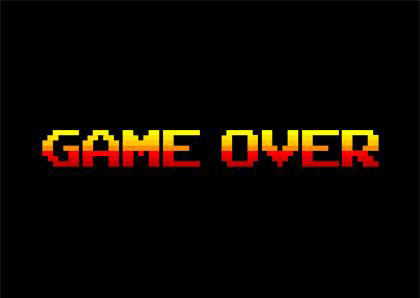 Practically every game over screen I saw over the course of last week, outside of about an hour of Super SF4 and roughly that much of N+ with Lomyn from ForceDisconnect, was while playing a game that I needed to write about. 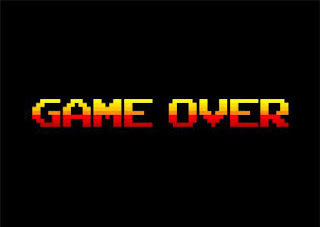 Strangely, that makes me think of Game Over screens as signs of longer work days. This could be hazardous to my sanity. One 360, one Wii, one man (with the occasional company) and a bunch of digital currency brought together for the simple purpose of reviewing games you can't normally find at your local game retailer. Twenty-something white guy with a loving wife and a withdrawal-prone addiction to yelling at the screen whenever he's got a controller in his hands. If you see him on XBox Live under "Shin Hogosha", he's either playing a downloadable game or watching something via Netflx.